Capture full-body photographs of your favorite subject with this 5' x 12' X-Drop Sweep Kit. This inclusive backdrop system is simple to care for and easy-to-use in virtually any location. 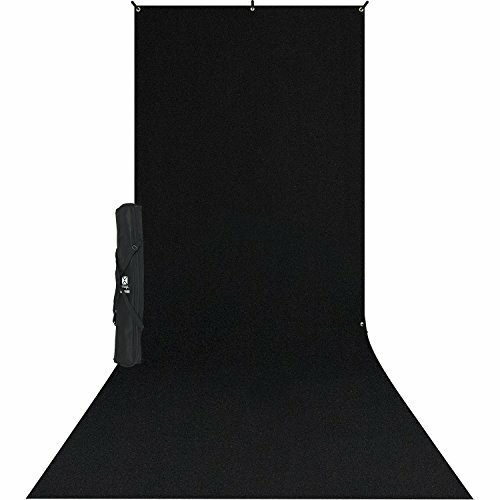 Featuring durable grommets and a standard pole pocket, this backdrop can be professionally mounted with the ultra-compact X-Drop Frame. The X-Drop system features a telescopic frame with a limited footprint, allowing for placement in even the smallest studios and locations. Weighing under 3 pounds, the X-Drop Frame is the lightest available on the market. Designed with a heavy-duty aluminum, the X-Drop is durable while maintaining portability. Say goodbye to high-maintenance backdrops for good. The included backdrop is truly wrinkle-resistant when stretched taut, allowing for a smooth, sweeping, and seamless appearance. This uniquely blended matte-cotton fabric is also reflection-resistant for effortless lighting in the studio. Plus, this fabric is machine washable for easy care. Whether you are shooting high-end editorials or high school seniors, Westcott Wrinkle-Resistant Backdrops will withstand whatever shooting situation you encounter.